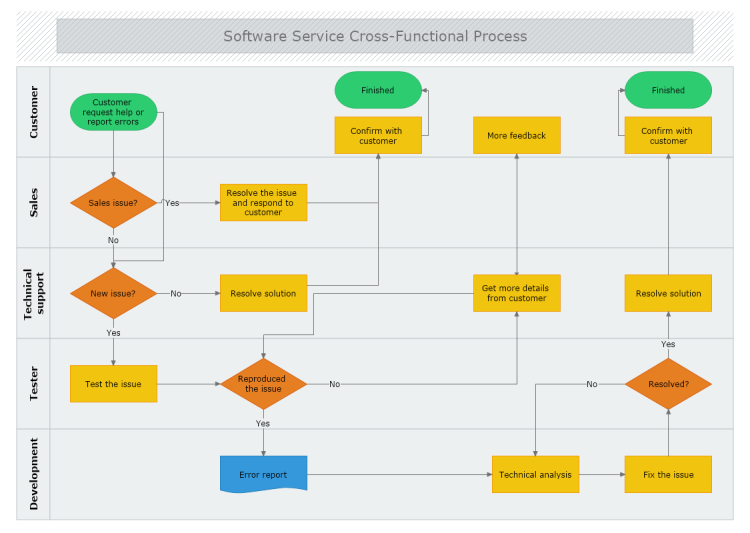 This cross-functional flowchart template describes a software service request process flow. Starting with the customer request/error report to the software company this example shows the steps of categorizing the exact character of the reported issue. Once the issue has been categorized the diagram outlines the steps needed for resolving the problem by the specific department responsible it.